Ubisoft’s Assassin’s Creed games span many time periods across a number of locations making for a diverse series. 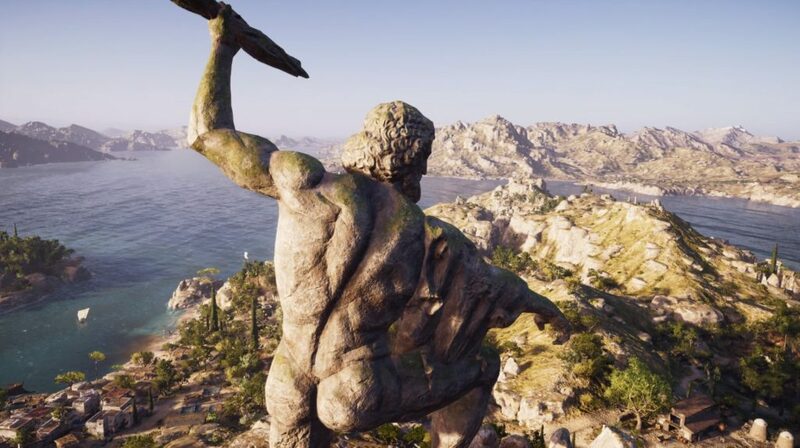 The latest, Assassin’s Creed Odyssey puts players inside the Peloponnesian War in Greece. The story takes place 400 years prior to the previous game Assassin’s Creed Origins. The game development handled by Ubisoft Quebec for a change of pace. With a number of high points in the series, is this latest adventure worth getting excited for? 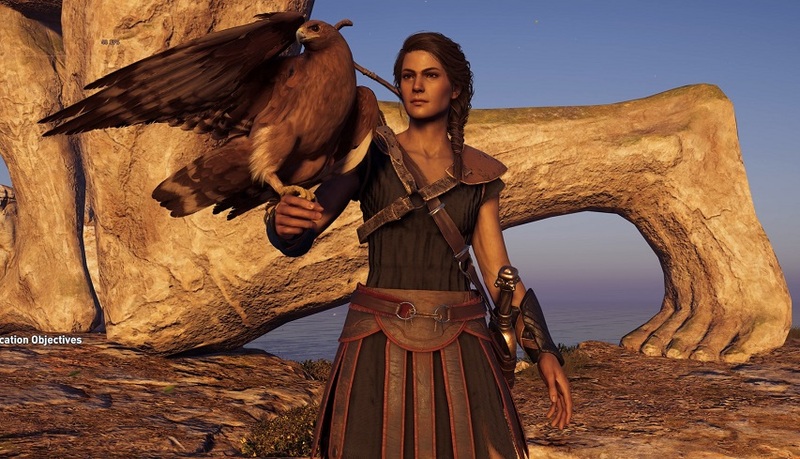 In Assassin’s Creed Odyssey (ACO) players assume the role of either Kassandra or Alexios which for the first time is a male or female choice. To be clear, aside from the visual elements and voice-over there is little to no differences between the two. Therefore it’s purely an aesthetic decision and quite welcome all the same. Fans will be quite familiar with how the gameplay unfolds in addition to some new ideas to keep events interesting. Before starting the game proper, players can select a traditional hand-holding experience or an all new “exploration” option. This involves having to look at the map based on various clues you pick up via conversation with quest givers. The marker only appears once you are in close proximity. You summon Kopis the Eagle to mark the spot on the hud making tracking much easier. It’s a small change but makes exploration a little more engaging which is good. Another new addition which becomes apparent early on in the story is the introduction of conversation choices. Players can adopt a balanced, neutral or aggressive stance which steer events and have their own consequences. A number of events change significantly depending on the choices made. Who lives or dies, becomes the player’s choice making for better layered dialogue. Player actions dictate changes, for example if you let attackers live at the start of the game, they might flee in terror but return later in greater numbers. 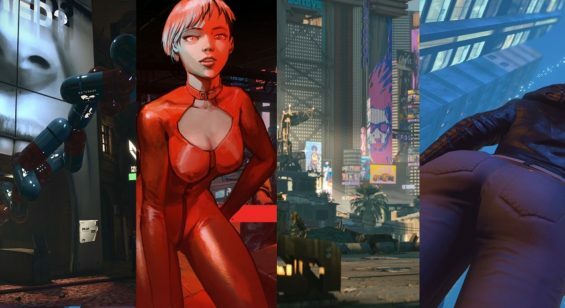 These nuances add a lot to the core game making it generally much more reactive than previous offerings. In a nod to the 300 movies ACO allows the mercenary character the choice of choosing sides for each encounter. One moment players can choose to side with the Spartans and the next, the Armenians. This mechanic actually works very well in context. Each region is open for invasion once weakened by various player actions such as burning supplies and killing soldiers. Then a major skirmish takes place where it’s attack or defend for more loot if successful. These events are open field battles with high numbers of AI fighting each other. Players home in on the captains and any key characters for a guaranteed win. Battles are not easy (especially on hard difficulty setting) which can leave you punished until suitably levelled up. The sheer number of attackers present means hits from all sides happen frequently resulting in a frustrating mission restart. It is possible to live the life of an assassin in this game as the title suggests. The core stealth gameplay remains. Luring guards, hiding in bushes and climbing most surfaces for vantage points is all here in abundance. Once again, it’s neat taking out entire fortresses of their inhabitants undetected. However, once discovered the combat remains easy to play with. Counterattack plays a big part in your success as does using special moves gained by levelling up. Players can upgrade their skills in three schools of play including Warrior, Hunter and Assassin. Interestingly, a reset option is always available should you favour a particular style at any given time. Befitting of any warrior or assassin, a number of different weapon types present themselves throughout. Spears, daggers, swords, axes and clubs to name a few change the way combat plays out. This variety is pretty decent allowing mix and matching depending on the opponent. Blacksmiths sell items including armour parts, can also upgrade equipment and add additional effects. Loot plays a massive part of the adventure, with an abundance of chests and secrets to uncover. So many chests litter each location that in someways lowers the wonder of finding anything. “Oh look, another loot chest to plunder”. It would be more intriguing for chests to have a bit of mystery making the adventure parts feel a little more rewarding. Player end up with lots of junk and whilst the menu is easy to use it can become a game in itself managing all the items. In terms of visuals and performance, ACO plays well on Xbox One X despite some moments of frame rate dipping below the locked 30 fps. Greece does look rather fantastic with its day and night cycles and diverse structures. It’s certainly a pleasant game to look at most of the time despite low-res textures appearing in places. The PC version shines though and offers the best overall experience especially at 4K resolution with all the options cranked up. HDR support on console and PC is an option adding even more wonderfully rich visual elements – when it works that is(on PC). Audio plays a massive role in ACO and it’s safe to say the cast do a wonderful job thanks to an excellent script and engaging plot. 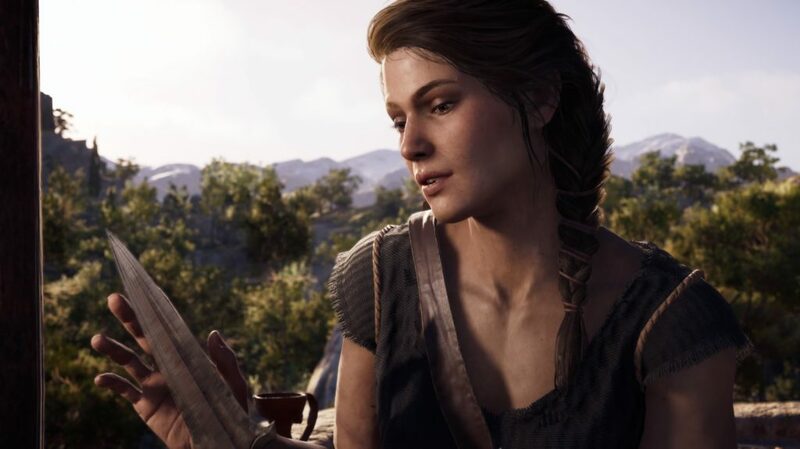 Kassandra especially is likeable based on her fixated determined demeanour. 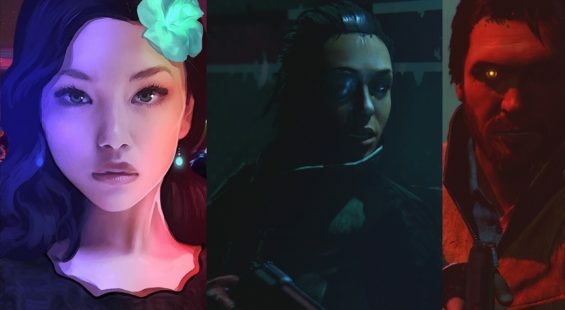 ACO allows for romance options making Kassandra especially a lady-killer of sorts. Wrapped up in a warm and reaction based score serves as a great backdrop to all the action and dialogue. ACO is a long game with plentiful options to eat away the hours. After so many hours of deviations from the main plot, events can get repetitive. That said, with so many choices and the return of full on naval battles means there is always something close-by to provide a spot of variety. To beat everything on offer takes many hours well into double figures. With the inclusion of additional story related tasks (which we won’t mention here due to spoilers) there is enough entertainment value full-stop. 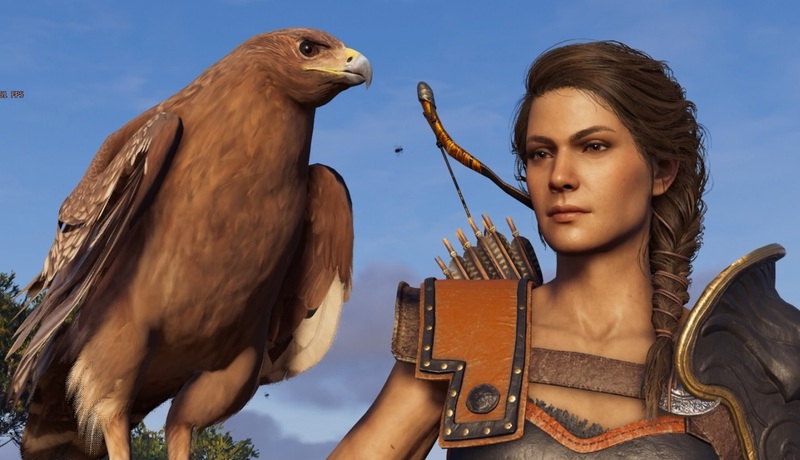 Assassin’s Creed Odyssey keeps the familiar formula, adds some new bits and places players at the heart of it all. It’s hard not to like the presentation here despite familiarity setting in pretty much as soon as the game begins. 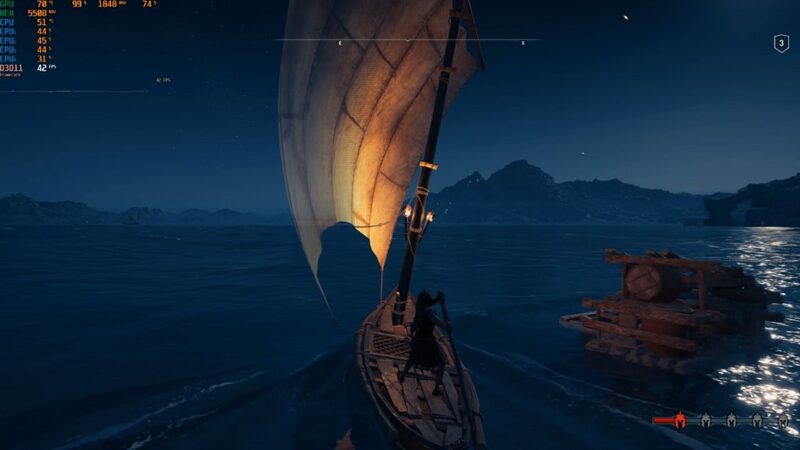 Greece is a wonderful playground, Kassandra a lovely character and the quests meaningful fodder. It’s easy to dismiss Odyssey as Origins in a new skin, but would not be fair on the obvious high quality production. If you tire of Assassin’s Creed games, then perhaps this one won’t bring you back into the fold in any meaningful way. However, for action adventure fans after a massive open playground to stamp their mark it doesn’t get much better than this.